We're pleased to share the latest updates to our beloved Media Library. Check out these three features and how you can make the most of them. Once you’ve created an amazing Media Library, the time has come to protect your assets properly. 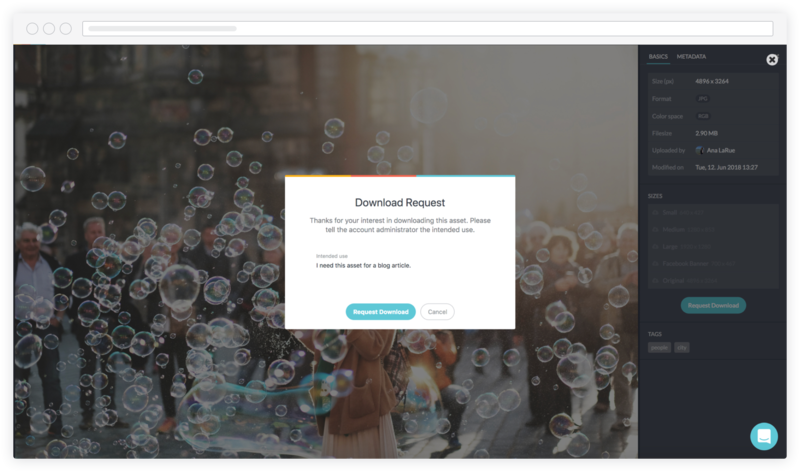 With the new asset protection feature, you can activate a download request – making sure you’ll always keep track of who is downloading your assets and for what reason. Choose to either protect all assets by default, define download accessibility for each asset individually, or collect assets in folders to set up their downloadability. You’ll grant the download permission. Find out how to use the request download function here. 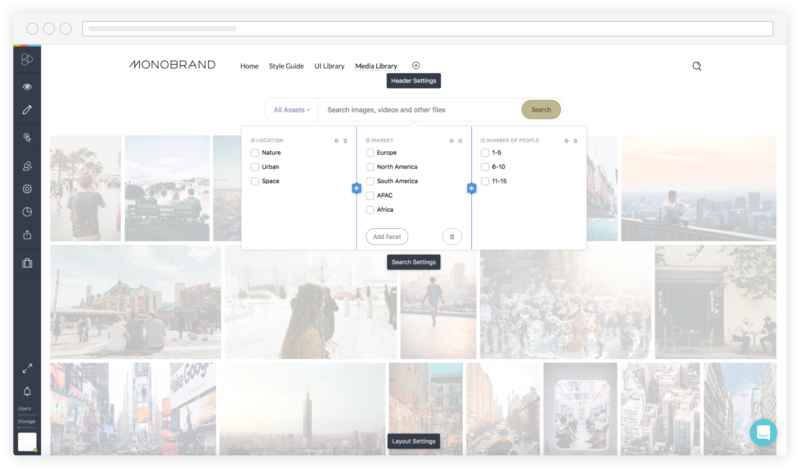 With the faceted search function, you can cluster the search bar within the Media Library in facets and consequently narrow down search results step by step. Simply add facets based on metadata, tags, or other predefined attributes like the orientation of the picture, and the file type. 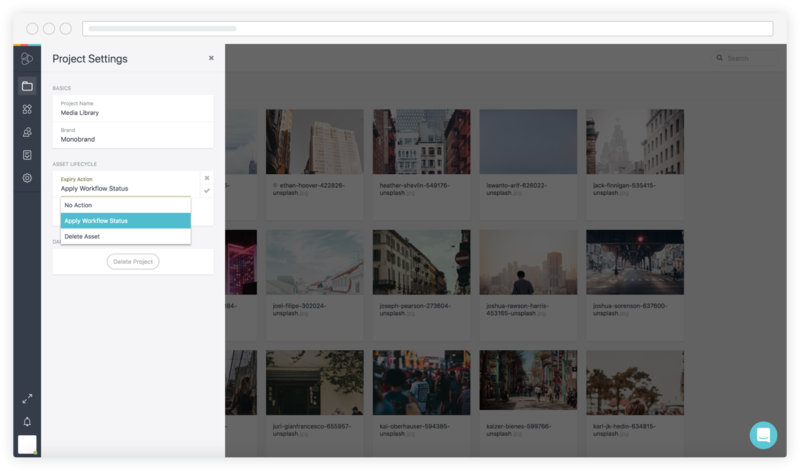 You’re able to apply multiple filters simultaneously, if needed, to browse through your assets – no more playing hide-and-seek. Learn how to add, edit and customize facets here. The asset lifecycle feature allows you to limit the availability of assets to a certain time period. You’re able to define the start and expiry date of an asset, as well as what’ll happen at the expiry date. Choose between assigning a workflow status, deleting the asset, or doing nothing, depending on whether you want to exclude expired assets from the Media Library or not. Dealing with expired assets just got a lot easier! Figure out how to set up an asset lifecycle here. If you want to learn more about the Frontify Media Library, I think that’s a good idea. If you’re not using Frontify yet, you really should. Start your 14-days free trial today. Let your brand blossom.